Noble Oil Services is a proud distributor of industry leading CUDA Aqueous Parts Washers. Many of our customers have already switched from the old sink on a drum, solvent based systems to a detergent based aqueous washer allowing for cleaning parts, as well as cost and time savings. They get cleaner parts and save money! Here’s how: The national average for washing parts is one-half hour per day for every technician. Most repair shops charge $65 to $150 per hour for a technician’s services. That means that a half hour of cleaning parts could be costing your business $30 to $75 per day—or $7,800 to $19,500 per year —in billable repair time that’s not being used (based on 260 work days per year or 2,080 hours). This doesn’t even include the cost of solvent disposal for the old sink on a drum method. You can readily see that it doesn’t take long to recoup the total cost of an industrial parts washer with the additional revenue you can generate by renting a CUDA. Give Noble Oil Services a call to learn more about their Parts Washer Rental program. You’ll be happy that you did! Save money and time. Plus get your parts and tools cleaner than ever! 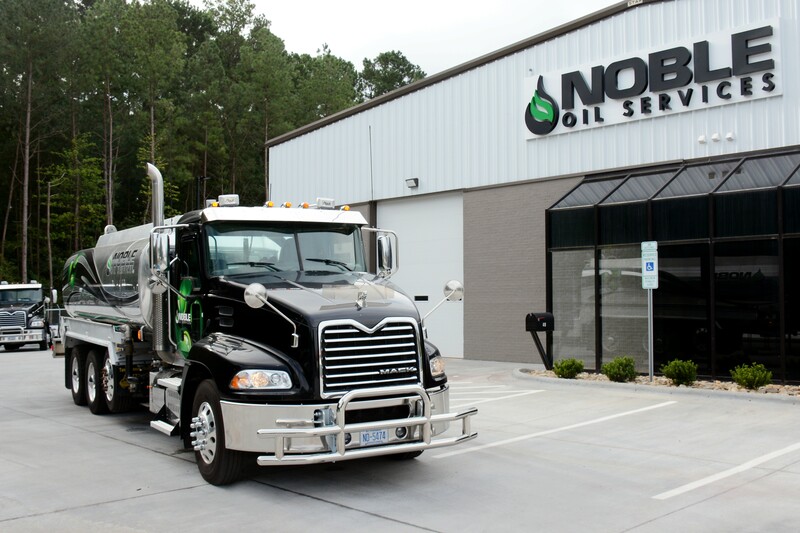 Why choose Noble Oil Services Parts Washer service? Machines may be purchased or leased depending on customer preference. Noble Oil Services offers both solvent-based and aqueous-based solutions. We customize a program that meets YOUR needs. Noble Oil Services provides ONLY brand new M2 solvent or detergent based on the machine for every service, thus ensuring the safety and effectiveness of the units. Our Service has many unique aspects designed to meet the specific needs of your operation. Our highly trained service technicians thoroughly clean each unit before adding the new cleaning agent. Noble Oil Services uses a cost effective analytical testing protocol to ensure the proper disposal or recycling of the spent solvent or solution. Following receipt of analytical testing results, a waste “profile” is created utilizing our proprietary database program. All spent materials are recovered for recycling and disposal in accordance with all local, state, and federal regulations. Our program is specifically designed to generate less paperwork, reduce regulatory reporting and decrease our customers’ liability. As with all of our services, we strive to develop environmentally sensible solutions. Used solvent is used as a recycled product for the roofing industry and aqueous solution is treated with our other Oily Water materials. Need more information on Parts Washers?